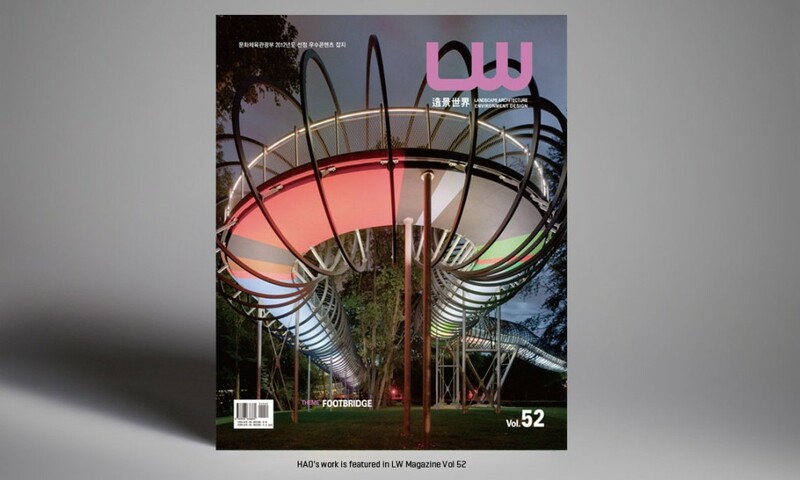 HAO’s project for the Samaranch Memorial Museum is featured in Landscape World Magazine Vol. 52. “Juan Antonio Samaranch, the president of the International Olympic Committee from 1980 to 2001, devoted his life to the Olympic spirit. Throughout his presidency of the IOC he advocated for reform and inclusion, and he was a strong supporter of China’s bid as host city for the 2008 Olympic Games. With the design of the Samaranch Memorial Museum two existing typologies merge: the memorial and the museum. The ﬁve interlocking rings of the Olympic Logo serves as the foundation for the building’s design: together the ﬁve rings create a continuous loop, taking the visitor through both the exhibition and memorial areas. This combination allows the building to both honour the life of Juan Antonio Samaranch while simultaneously creating a place that focuses on the true legacy of the Olympics: creating opportunities for people to meet and celebrate across cultural and geographical boundaries.